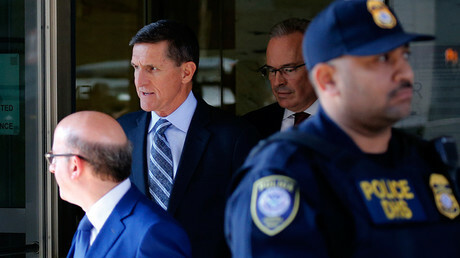 Media hysteria over alleged Russian collusion continues, even as short-lived national security adviser, Gen. Michael Flynn, pleaded guilty to lying to the FBI about speaking with Russian officials to advance Israeli interests. 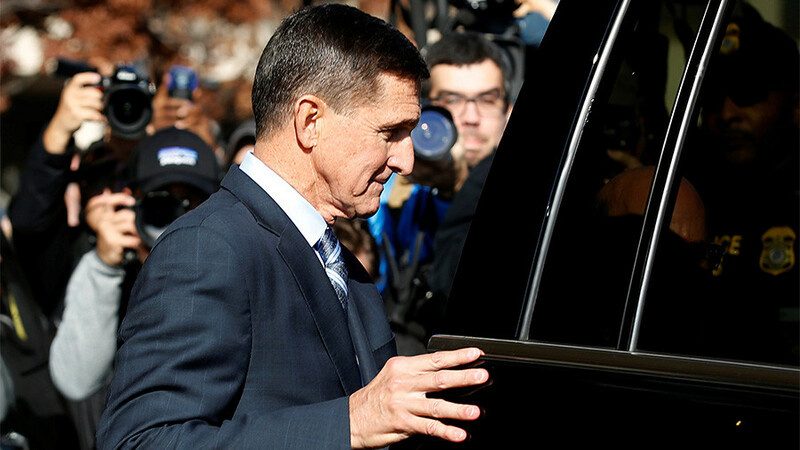 On Friday, Flynn pleaded guilty to lying to federal investigators twice during an interview with the FBI in January, according to a signed Statement of Offense. An indictment released by the office of special prosecutor Robert Mueller says that Flynn spoke with Sergey Kislyak, then-Russian Ambassador to the United States, twice in December, when Trump was president-elect. According to the court documents, Flynn contacted Kislyak on December 29, 2016, the day after former President Barack Obama signed an executive order imposing sanctions against Russia as punishment for alleged Russian “meddling” in the 2016 US presidential elections. Shortly after, Russian President Vladimir Putin announced that Moscow would not expel any US diplomats, but rather invite them to the Kremlin for holiday celebrations. “This shows a Trump associate negotiating with the Russians against US policy and interests before Donald Trump took office and after it was announced that Russia had interfered in our election,” Feinstein said in a statement. (1/2) Michael Flynn’s guilty plea is about more than just lying to the FBI. This shows a Trump associate negotiating with the Russians against U.S. policy and interests before Donald Trump took office and after it was announced that Russia had interfered in our election. Only two people have ever been indicted under the Logan Act, and no one has ever been prosecuted. 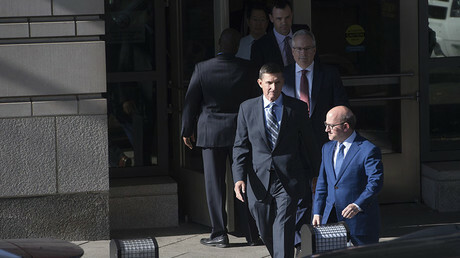 If convicted, Flynn could face up to three years in federal prison. While Flynn’s plea does not show any direct evidence that the Trump campaign colluded with Russia to influence the election, it does show that they might have colluded with an entirely different foreign government to undermine the foreign policy of a sitting president. In December, a senior Israeli official told CNN that his country reached out to the Trump campaign after it failed to persuade the Obama administration to veto the resolution. The resolution was adopted on December 23 after Obama instructed his ambassador to the United Nations to abstain from the vote and all other countries on the Security Council, including Russia backed the resolution. Flynn did contact Russians, just as he did as instructed to contact all foreign ambassadors and foreign ministers on the UN Security Council to ask them to change their vote until Obama was out of office. On Friday, a Trump transition official told Buzzfeed that Jared Kushner, Trump’s senior advisor and son-in-law, was the one who ordered Flynn to make the calls. “Jared called Flynn and told him you need to get on the phone to every member of the Security Council and tell them to delay the vote,” the official told Buzzfeed. Flynn also contacted the US missions of Uruguay and Malaysia, while Kushner contacted the British ambassador to the United States in the hours before the vote, two diplomats familiar with the conversations told Reuters. However, Newsweek reported Saturday that Kushner failed to disclose his role as co-director of the Charles and Seryl Kushner Foundation between 2006 and 2015, during which time it funded an illegal Israeli settlement. This could have been seen as a conflict of interest in his appointment as the Trump advisor tasked with bringing peace to the Middle East. On cable news, Russiagate garners ratings, but there has been scant coverage of Israel’s influence peddling that led Flynn to contact Kislyak. “Russia, Russia, Russia. It's been the pattern of the year,” Matthews said in his next breath. Other news outlets slammed the Trump administration for having ties with Russia, but barely mentioned that Flynn was lobbying on behalf of Israel. MSNBC hosts Rachel Maddow and Chris Hayes each went over the plea and said that it showed Trump’s collusion with Russia, but neither made any substantive comments on the lobbying for Israel. NBC did not mention Israel in their report until the 18th paragraph of their story, and only spent two short paragraphs on the subject. The New York Times did not mention Israel until the 23rd paragraph of their report, only spending two short paragraphs on it. To their credit, the Times did say that Mueller’s investigators have learned that Israeli Prime Minister Benjamin Netanyahu asked the Trump transition team to lobby other countries on the resolution.